bogacare® SENSITIVE EAR STICKS eru bómullarhnoðrar unnir úr sjálfbærum bambusi og sér hreinsuðum bómull. Sérstaklega formaður að eyra hundsins. Þetta form gerir það að verkum að auðvelt ar að hreinsa eyru hunds. First, dissolve the dried-in ear wax and secretion (bacteria and fungi) by applying our highly effective bogacare® PERFECT EAR CLEANER. Then remove the remaining impurities by using the bogacare® SENSITIVE EAR STICKS. 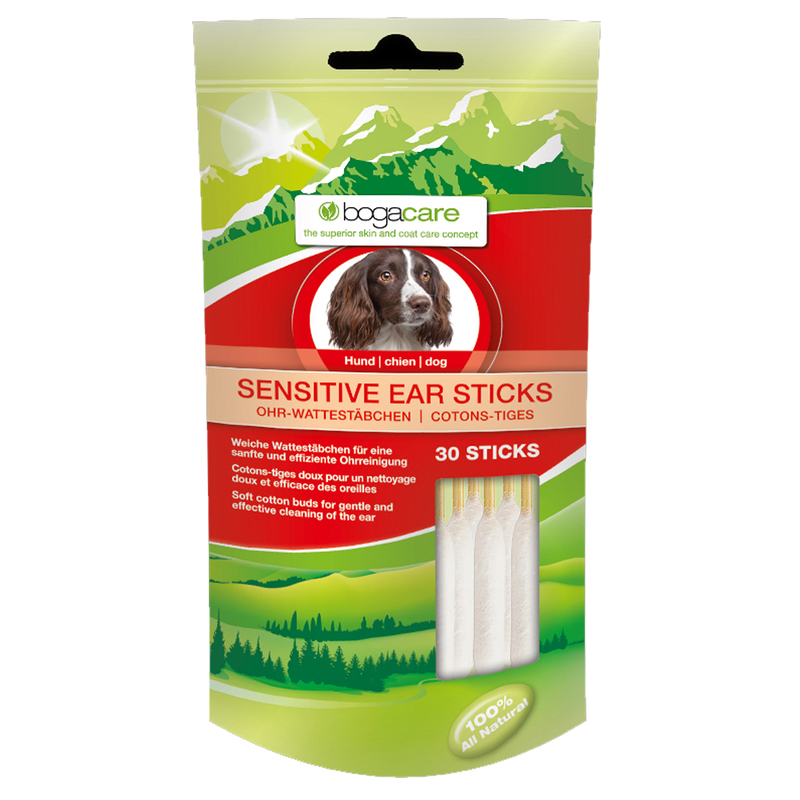 Take care when using the bogacare® SENSITIVE EAR STICKS and only use on the outer and visible part of the ear.